Ever since June 1st 2012, Pupa Clic has been in the forefront of technological innovation, breaking barriers with solutions on Web, App and IoT. Clocking at a closure of 198 projects to date with 150+ IP created in the tech space, we are a force to be reckoned with. Over the past year, in IoT we have been involved in developing end to end stacks of firmware for smart routers, creating next-generation mesh networks for enterprises as products. On Web an App we have scaled solutions in workflow automation and building consumer-facing applications for the next wave of internet applications. Being an entrepreneur means, your on your toes ensuring your tasks are met at the right time, moment and creating an impact with regards to productivity around your colleagues. With the launch of the iconic anniversary edition of the iPhone – iPhone X, a lot have asked me on will I be switching over my current phone, the LG – Q6. In order to breakdown the reasons, one must understand my current daily driver’s, starting with my smart watch. but when I recently updated my car to an i20 Active, the android auto experience led me to upgrade my old car hyudai eon, which takes me to my preferred incar entertainment. As a business laptop I require a daily driver with good battery, high on productivity, fast boot and windows for the App ecosystem. The Lenovo does that and more with its good body finish, durability and performance to get the task done. The graphics isnt much to talk about at this joint as it does ship with Intel’s inbuilt, but it has enough juice to render a 2k video. 3 years and still going strong. I was initially skeptical about the LG Q6, but what drived me was the speed of the processor, battery life and its thin bezel. The design is well cut and with constant utilization and connectivity there hasn’t been any issue with the battery drain or lag from the processor. The iPhone X with its look and quality, still is an Apple in heart, which makes an iPhone X in processing in par with the S8, the dual camera lens isnt something which will driver better shots, what it needs is software processing to give you just that. Technology will rapidly change, tomorrow’s technology needn’t be through individual ecosystems but a connected one. 5 years back from today, I started Pupa Clic, a research and development IT firm with the purpose to Build. Develop. Operate products on niche technology and provide solutions through automation on Web, App and IoT (Smart Electronics). Looking back at the team we’ve scaled, the tech we’ve built and the barriers we’ve crossed, this is a milestone which we’ve achieved in our 10 year road map and the coming months were looking at disrupting the market at a large scale. With Abishek catering to Services and Antony with products, we’ve created Startups, executed with Researcher’s, managed SMEs and scaled Enterprises, operating 286 projects till date in Web, App and IoT (Smart Electronics). All this and more wasn’t possible without the team spirit built from our family, clients, associated firms, well wishers, friends and you. The path is set, targets have been placed, it’s time to scale. I’ve been invited as the guest speaker at Alpha – The IEEE Madras Entrepreneurship Summit. – How to build an Online Marketplace startup? – How to raise funds for your startup? – How to start at college? If you are interested or know someone who wants to start a start-up or join a start-up, please do join the program. 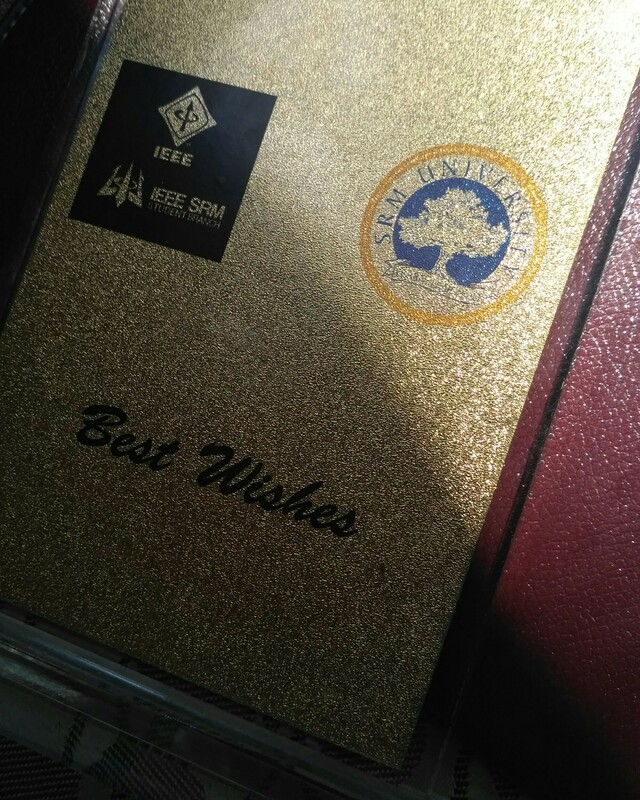 ​A few days after I had started Pupa Clic and decided to go main stream during my final year in college, I approached Rishab Kumar S (currently Business Operations Head at Pupa Clic) and wanted to know if what I was doing is right. I’m a firm believer when it came to the lines “it’s motivation which keeps one moving forward”. Closing in 5 years of completion when I think of the meet at sowkarpet with Rishab I find proud to share my career experience with him. 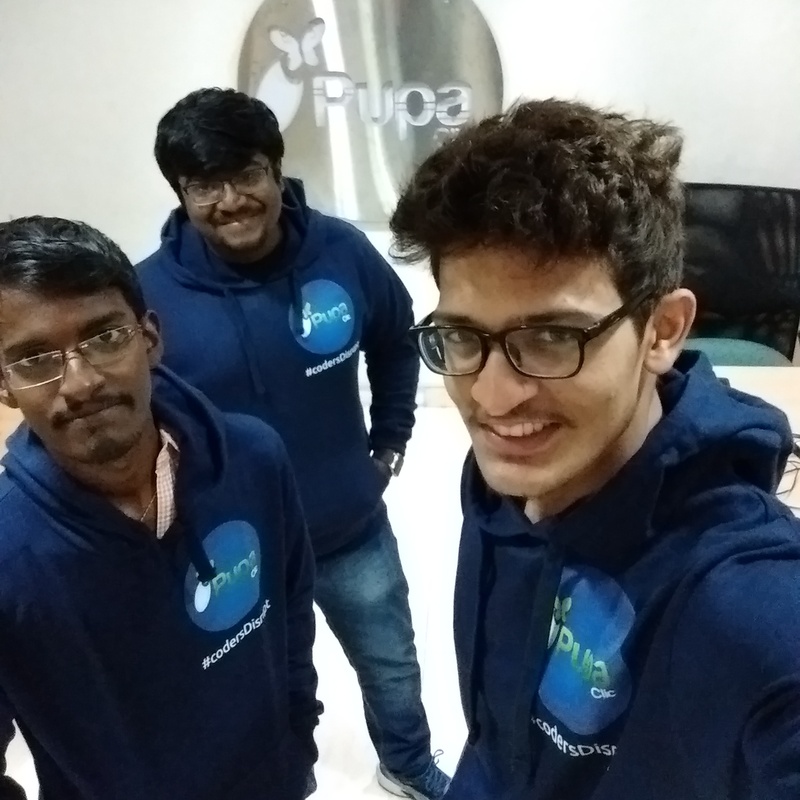 Rishab turns 1 year at Pupa Clic this month, and looking back at the milestones we’ve achieved together makes me say one thing above all “Let’s Scale”. A very Happy and Prosperous 2017. 2016 has been an amazing year with new venture relations at Pupa Clic. With 6 more months moving Pupa Clic to year 5, huge plans in the field of Business Automation, Media and Knowledge sharing awaits. It’s been a swell year at Pupa Clic and nothing makes it better than a short video through memory lane. It’s been a crazy week in Chennai and the boys decided to have a mannequin challenge at the Pupa Clic Office.